How to Plan 6 Days 5 Nights Seoul Trip for Less Than RM2,550/SGD850 per pax. Jeju Island Must Visit Attractions. Gyeongbokgung Palace arguably the most beautiful and remains the grandest of all five palaces is also called “Northern Palace” because it is the furthest north when compared to the neighboring palaces of Changdeokgung (Eastern Palace) and Gyeongheegung (Western Palace). The name of the palace, Gyeongbokgung, translates in English as “Palace of Shining Happiness.” The premises were destroyed by fire at the time of Japanese occupation from 1592-1598. However, all of the palace’s 7,700 rooms were later restored under the leadership of Heungseondaewongun during the reign of King Gojong. Free Guided Tour Tours depart from in front of the information center at Heungnyemun Gate (흥례문). The Royal Guard changing ceremony started since 1459 during the Joseon Dysnasty. After extensive research from historical records, the ceremony has been reenacted since 1996 allowing visitors a rare insight of this traditional royal palace ceremony. The ceremony takes part at Gwanghwamun Gate, the entrance of Gyeongbokgung Palace where the king rule the country. Royal Guard Changing Ceremony Time – Every hour starting from 1000 & ends at 1600. Closed on Tuesday. It is all about fashion and skin care in Myeongdong, Seoul’s most prominent shopping district. If it’s variety that you’re after, there’s no better place to shop than Myeong-dong where you’ll find everything from internationally-recognized name brands to unique items. Myeongdong also houses a variety of family restaurants, fast food, plus Korean, Western and Japanese dining options. Many restaurants in Myeongdong specialize in pork cutlet (donkas) and kalguksu (thick noodles). Not to forget, Myeongdong is the best place to shop for famous Korean Cosmetic brands such as Etude House, Skin Food, Laneige, The Face Shop, Missha! From the top, the tower offers great panoramic views of the city. Visitors can enjoy its cultural space with various performances, movies, exhibitions as well as upscale restaurants and snack bars. Myeongdong Station Line 4 – Exit 3. Walk for about 15 minutes following the street on the right side of the Pacific Hotel. The cable car boarding place will be seen ahead. Situated between by two palaces, Gyeongbokgung to the west and Changdeokgung to the east, this village has the largest cluster of privately owned traditional Korean wooden homes or hanok in Seoul. The Bukchon area is a traditional residential area in Seoul that boasts 600 years of history. Its location reflects the views of neo-Confucianism, regarding the world and nature, during the Joseon Dynasty. Hanok architecture places great emphasis on the topographical features of the land on which it is built. Structural arrangements, layouts, and other spatial aesthetics are major concerns here, as are the styles of the buildings themselves. For Korean Drama lovers, Nami Island is a place which does not requires further introduction as this is the birth place of all the Korean Craze. This is one of the place where the famous international Korean Drama Winter Sonata was filmed. Hence to put it short, it is a must visit for all Asian tourists! 1. By Subway + Taxi : Take the Subway to Sangbong Station Line 7. Transfer to Gyuongchun Line Train to Gapyeong Station (P134). From the station, take a taxi (approx KRW4,000 – KRW5,000 per way) to Nami Island. 2. ITX Train + Taxi : Take the Subway to Yongsan Station Line 1. At Yongshan Station you can buy ITX Train ticket at counter to Gapyeong Station (You cant use T-Mobile card for this train). From Gapyeong, take a taxi (approx KRW4,000 – KRW5,000 per way) to Nami Island. Gwangjang Market was the first permanent market in Korea selling local delicacy, silk, satin, and linen bed-sheet. The market continue to attracts both locals and tourists as Gwangjang Market might be the best place to try all shorts of Korean street food. There are plenty of food stalls in the market selling mainly bindaetteok (mung bean pancake), bibimbap, gimbap, sundae (blood sausage), tteokbokki and noodles. 1. Subway : 5-ga Station (Line 1), Exit 8. Changdeokgung Palace was the second royal villa built following the construction of Gyeongbukgung Palace in 1405. The buildings have remained largely intact over six centuries and served as a backdrop for the last chapters of the Joseon period (1392-1910). Korea’s last emperor Sunjong passed away on these grounds in 1926, and it’s commonly known that members of royal descendants lived in Nakseonjae, a cluster of unpainted palace buildings well into the late ‘80s. The palace had a great influence on the development of Korean architecture, garden and landscape planning, and related arts, for many centuries. It reflects sophisticated architectural values, harmonized with beautiful surroundings. Changdeokgung Palace & Huwon Course – Tuesday to Sunday 9.00am to 05.00pm. Closed on Monday. Hongdae is the epic center of Seoul’s vibrant and youthful shopping and nightlife district. Many of Seoul’s idiosyncratic clubs that draw the younger set are clustered in the area. With the prestigious Hongik University nearby, the area attracts bountiful students and visitors alike to shop, dine & club. There are plenty clothing stalls and vintage shops can be found along the main passageway, Eo Ulmadang-gil. Being world’s first augmented reality museum Trickeye Museum is definitely a must visit attraction if you travel to Seoul. It’s actually a whole complex offering all kinds of attractions that include, but are not limited to main Trickeye Museum, Ice Museum (really made of ice), virtual reality zone, Love Museum (Seoul’s first and only museum for adults), mirror maze etc. They even have a Hanbok (Korean traditional clothing) rental booth there! Not to mention, Trickeye is conveniently located in Hongdae – Korea’s famous Indie and youth culture area in Seoul that has been featured in numerous Korean dramas. Getting there: Hongik University station (green line 2), exit 9. Ikseon-dong’s Hanok Village was first established in 1920 and is well preserved. The area caught us by surprise as it isnt an attraction typically recommended. However we strongly recommend to visit this area. The living heritage evokes nostalgia of old Korea while roaming the alleys often bring surprising discovery. The area offers a variety artisan cafes, gastro pubs, family restaurants and creative retail shops. If you are here, make sure to visit Dongbaek Yanggwajeom for its souffle pancake and Jung’s sandwich. Opening Hours – Vary by shops. Usually 9am to 11pm. 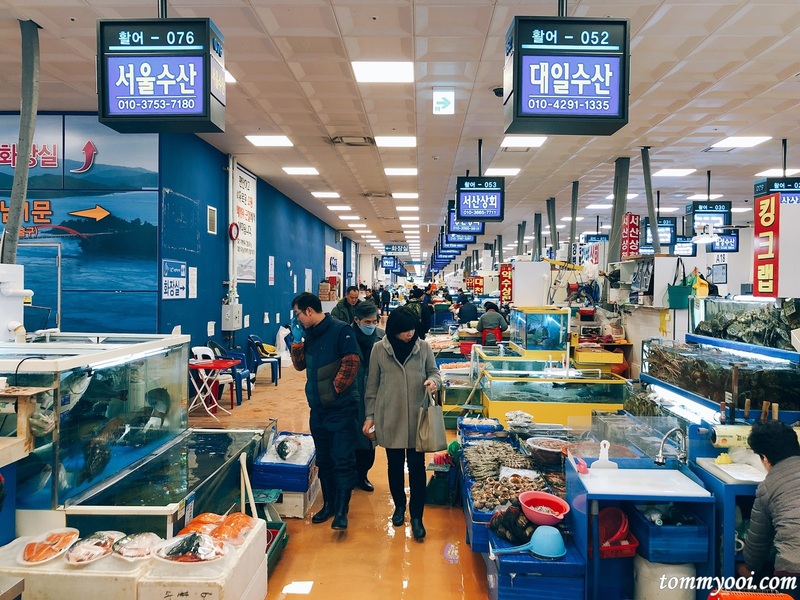 Noryangjin Fish Market is one of South Korea’s biggest fish market trading approx 300 tonnes of marine products daily. The fish market sells a wide variety of seafood such as King Crab, Snow Scrab, abalone, octopus, clams, fish, sashimi. Many visitors will attempt to try Sannakji (live octopus sashimi) at the market. The best part while visiting the market, you can buy the fresh seafood and bring up to the restaurant on 1st floor to be cook and served immediately. Do take note to bargain wisely and it might be better to choose the restaurant yourself instead being recommended by the vendor. Also ask properly for the cooking price to avoid any shocking bill. The wholesale market opens almost 24 hours however visitor usually visit when the restaurant operates. One of the most memorable Seoul attractions and represents the focal point of Korean traditional culture and crafts. Stores in Insa-dong specialize in a wide variety of goods that can only be purchased or appreciated in Korea: hanbok (traditional clothing), hanji (traditional paper), traditional teas, pottery, and folk crafts. There are about 100 galleries in the area and you can see every example of traditional Korean fine art from paintings to sculptures. The teahouses and restaurants are the perfect compliment to the galleries. Every Sunday from 10:00 – 22:00, some streets are blocked off from traffic and it becomes a cultural space. Stores set up booths outside and others set up shop (Korean candy merchants and fortune tellers.) There are traditional performances and exhibits as well. Exit 6 – Anguk Station Line 3. Walk straight 100m & turn left. Exit 3 – Jonggak Station Line 1. Walk 300m straight, turn left. then 100m straight & veer left into Insa-dong alleyway. 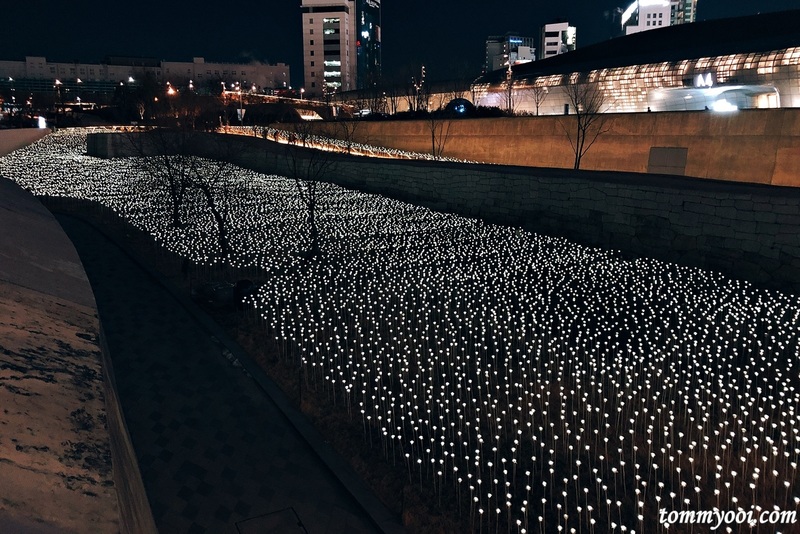 Cheonggyecheon stream was built since the Joseon Dynasty (1392-1910). It has been meticulously restore under Seoul’s urban renewal project. 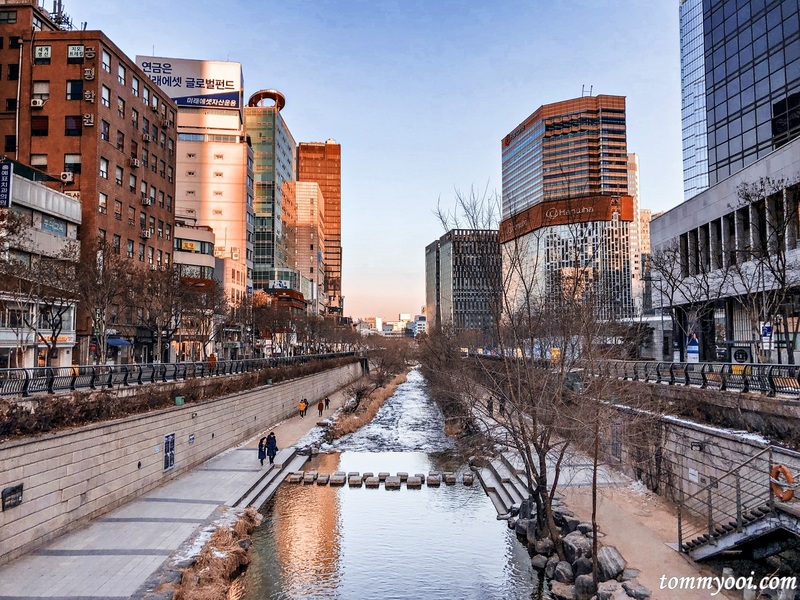 The 11km stream starts from Cheonggye Plaza, a popular cultural arts venue, and passes under a total of 22 bridges before flowing into the Hangang (River), with many attractions along its length. It is one of the favourite leisure spot for the locals in the evening. Subway – Jongak Station (Station Line 1) -Exit 5. Walk 200 metres. The DDP Rose Garden started of as a temporary exhibition but gained popularity especially among couples. 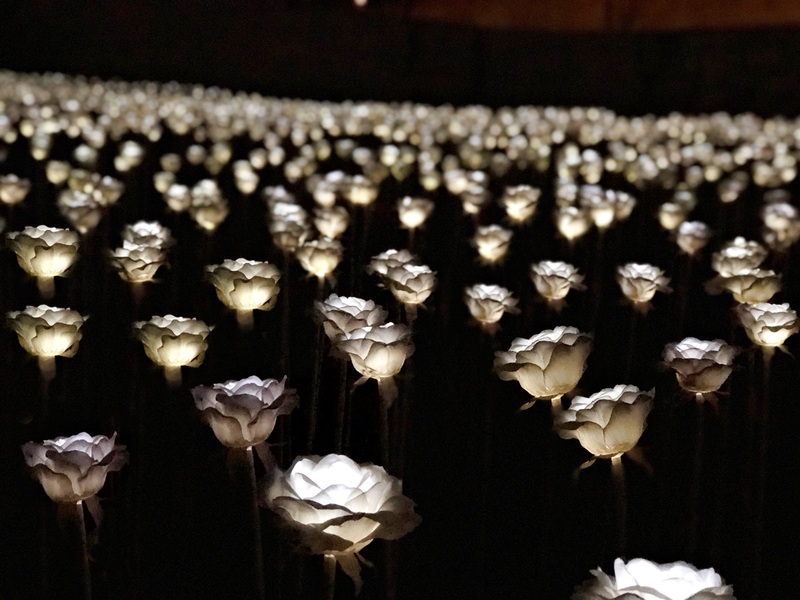 A total of 25,550 LED roses light up when night fall creating an impressive stream of white roses. The display began on National Liberation Day in 2015 as a celebration of the nation’s 70th year of independence. The number of roses on display corresponds to the number of days since liberation: 365 days multiplied by 70 years is equivalent to 25,550 roses. Dongdaemun is Korea’s largest wholesale and retail shopping district has 26 shopping malls, 30,000 specialty shops, and 50,000 manufacturers. Opening from 10:30 a.m. to 5:00 a.m. except Monday & some public holidays, you can literally shop all night !! The fabric and clothing here are of the latest fashion trends in the world. Inventory is imported and exported in real time, making Dongdaemun a must-visit for fashion enthusiastic. When you are visiting Dongdaemun you can also visit Heunginjimun. Heunginjimun was the east gate of the capital city of Seoul built in 1398. At that time, four large gates and four small gates were built in the fortress wall surrounding the city & were inscribed with the four letters of In (perfect virtue), Ui (justice), Ye (Civility) and Ji (Wisdom). Closed on Monday & some public holidays. Operated by Samsung Group, Everland is South Korea’s largest theme park at 100 hectares. It is ranked as the 4th most visited theme park in the world by offering 5 main Festivals and exciting entertainments all year around. The park is home to over 40 heart-pounding rides and attractions. In addition to ‘Safari World’ featuring white tigers, tigers, lions and bears, ‘Herbivore Safari’ opened in April 2010, letting visitors get up close and personal with the safari’s giraffes, elephants, and ostriches. 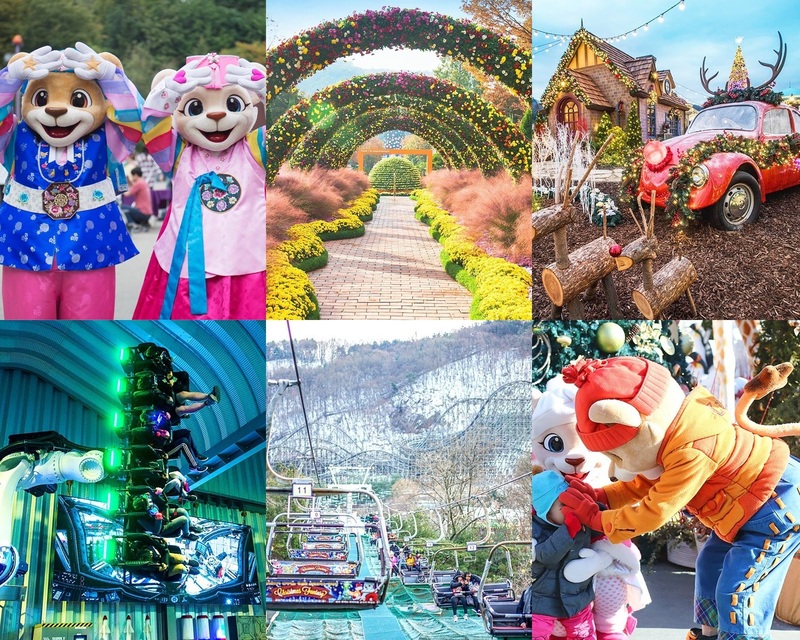 Everland is also known for its gorgeous flower arrangements and beautiful gardens, which have been year-round fixtures since the Rose Festival in 1985. Opening Hours – Sunday to Friday – 10am to 7pm / Saturday & Public Holidays – 10am to 8pm. Check the daily time on their website. Lotte World consists of the world’s largest indoor theme park (a Guinness World Record) which is open all year around, an outdoor amusement park called “Magic Island”, an artificial island inside a lake linked by monorail, shopping malls, a luxury hotel, a Korean folk museum, sports facilities, and movie theaters all in one place. One of the major reasons tourists are attracted to Lotte World is the amusement rides. The Gyro Drop and Gyro Swing are the top pleasers– a steep drop with an altitude of 70 meters, or taste the thrilling sensation of being inside a tornado. The Flume Ride is a long boat with a high-altitude wave, and the Spanish Pirate Ship swings at an electrifying 75 degrees. Besides the excitement of these rides, Lotte World also contains a variety of parades and laser shows. The war between the North and South Korea has not ended until today. Experience first hand at one of the world most dangerous border and find out how the demilitarized strip of land came about. Get a rare glimpse of North Korea from the Dora Observatory. Itaewon is choc-a-block with trendy bars, clubs, restaurants and shops selling everything from reproduction Korean furniture and tailored suits to jewelry and Korean pottery. Seoul even designated Itaewon as its first ‘Special Tourism District,’ to highlight it as a destination for internationals to enjoy a diversity of culture, shopping, and entertainment experiences. By Subway : Itaewon Station Line 6. Seoraksan is the highest mountain in the Taebaek mountain range in the Gangwon province in eastern South Korea. It is located in a national park near the city of Sokcho. After the Hallasan volcano on Jeju Island and Jirisan in the south, Seoraksan is the third highest mountain in South Korea. The Daechongbong Peak of Seoraksan reaches 1,708 metres (5,603 feet). The Taebaek mountain chain is often considered the backbone of the Korean peninsula. By Bus – From Seoul Express Bus Terminal or Dong Seoul Bus Terminal, take a bus to Sokcho (Travel time: approx. 2 hr 30 min). Planning to go for ski or snowboarding during winter when visiting Seoul? Here are some day tours package to make your trip easier. My wife and I went to Busan, Jeji and Seoul for 5D4N very rush tour on 2 – 6 May 2012. The tour guide only bring us to Expensive Shopping, not what we want. We are planning to visit Seoul again ( 6 – 12 July 2012 ) on our own Free & Easy style , photography and scenery ( rest and relax type ) maybe some shopping for my wife. Your blog is a great help, any good reasonable hotel to recommend ? Korea shopping is slightly expensive than China or Bangkok however the quality is better. However cosmetic and skin care are the cheapest in Korea especially concentrated in Myeongdong. Next 2 week there is hotel promo.. You can try Ibis Myeongdong with discount it should be a good choice..
Read your blog & it really gave a better picture of those intend to travel & self explore. Would be easy to travel ard, communication & safe thr? Any hotel to recommend / near to plc of interest? Seoul or South Korea is very safe with English signage almost everywhere. And if you have difficulties officers in subway office are most willing to help you. Thanks for sharing. It is really help me a lot. Based on your information and recommendation, I can save a lot time to do research. I am going to Seoul in earlier of November 2012 with my friends for 5D4N, whcih are the few attractions that we must visit and food that we must try….All of us are fresh seafood fans any fresh and good price seafood stall that we must try? 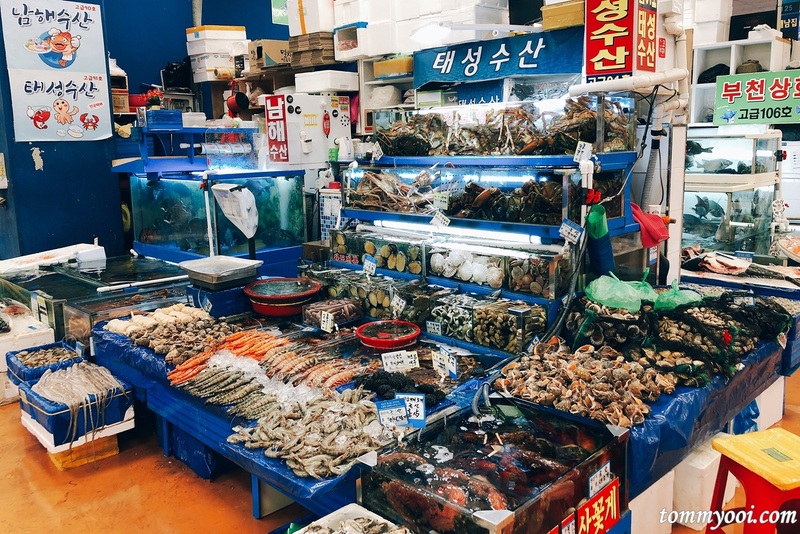 Feel free to visit Noryangjin Fish Market in Seoul for freshest seafood. I’m yenni from Indonesia. I and my friends total 8 person will go to Nami Island and Mt.Sorak after back from Jeju Island. We will come from Jeju Island to Seoul on 17 Nov 2012 in the afternoon. 1). What is your recommendation, is it possible if we go through to Nami Island on 17 Nov..? 2). Otherwise, we stay in Seoul on 17 Nov, and then on 18 Nov go to Nami Island and Mt.Sorak..? 3). How about the transportation, if we want to go to Mt.Sorak from Nami Island..? Should we back to Seoul or there is a transportation directly to Mt.Sorak from Nami Island..? 4). Do you have a recommendation travel to arrange Nami Island and Mt.Sorak..? We thank you for your kind help. I am going to Seoul on 5/1/2013-15/1/2013.Will it be very cold that most of the places and outdoor activity we cant do? Can you recommend any skiing places for me? Hi. My husband and i are going to seoul this dec1. I have some questions, and im lucky i found your blog. But i still would like to ask for suggestion, do u think it is ok to use the airport bus going to our hotel and going back to the airport? Our arrival is 8pm and departure is 11pm, so im not sure if the airport bus is still operating at these hours.. Or do u think it is wiser to book with a travel agent for the hotel with round trip airport hotel transfers? Oh, by the way, is there snow already come dec1? I think if you are booking for a tour in an agency, automatically a shuttle bus from airport to your hotel and vice versa is available. Maybe it is more practical if you ask your travel agency about that service. Thx. We booked at ibis myeongdong and were taking the bus by ourselves. The reservations officer of hotels says airport bus stops in front of the hotel. this site is very helpful for tourists. anyways, I just wanna ask cuz me and my friends will be staying at a hotel in myeongdong and wanted to go to Lotte world the easiest and fastest way possible. 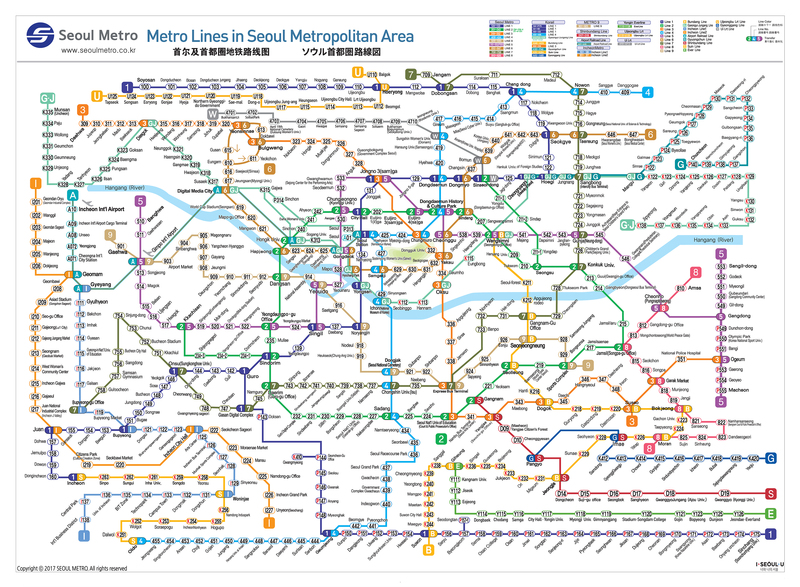 if we would take a subway from myeongdong how many minutes would it take to get to lotte world? and from myeongdong, which is nearer? lotte world or everland resort? I just heard that you wouldnt appreciate lotte if you would go to everland first. is this true? I hope you would answer my questions asap cuz we only have 2 days to do the planning of our itinerary for seoul. It should take about 1/2 hour to get to Jamsil from MyeongDong. Maybe you’ve been already and had some fun. 🙂 I prefer Lotte World over Everland as well. Lotte World is basically in the city, it is best to take a bus down to Everland. Since it is chilly now Lotte World might be better since some of it is inside. I will go to seoul in april this year, and i really know nothing about korean language, do u think language barrier will be a big problem for foreigner when comes to self travelling in korea? Dear Tika, when we were travelling around South Korea, we dont speak much Korean as well, only Ann Young Ha Se Yo & Kam Sa Ha Mi Tha.. Not a problem. Happy Travelling! Ic..glad to hear that :), thanks Tommy..
i live in korea . much of korean can understand english. and i recommend ‘ lotte world’ that is indoor amusement park. so even if rain, you can enjoy travel! I’ve only been to Teddy Museum in Jeju hence unable to compare which is better. However you can always visit the one where you have ample time. thanks for those useful information. i’m going to Seoul on 17-20th March this year with free and easy basis. any suggestion for accommodation.. with small budget..? 1. I’ll go to Everland and Lotte world on mid dec, is some attraction is close because is cold? 2. I want go to Nami island & Mt Sorak, is it possible if I go in 1 day trip? 3. At Jeju, which area u recommend to stay ? Awesome recommendations however, we are looking forward for the “must-eat” version. My friend and I are planning to visit Seoul on October and we don’t have any idea on where to eat and where to stay. We have limited budget and it will be our first time in Korea. Can you also give us advice on what to do and don’t during our short stay? Thanks! Appreciate advice on airport transfers pls. Thanks much. Your blog is very useful. My wife and I plan to go to Busan this autumn to see red maple leaves. We were in Kyoto in mid Nov last year and the maple leaves were beautiful. Please advise if mid Nov is a good time to see red maple leaves in Busan. I am coming for a conference in south Korea i.e at Sancheong, Gyeongsangnamdo. I will be spending 7th september to 13 September at this place.. please suggest me anything what i can buy in the area around this places. and I would like to do shopping like cosmetics with cheaper one korean brand and some men cloth cheap although not so expensive.. where you would suggest me.. I want to know places around my conference venue or may be near by cities like Seoul or Pusan.. which city you would choose for shopping..
any possibility of shopping nearby my conference venue…And how abt the daily fooding expenses in Korea.. normal life…? Thank you for the kind suggestion n help… Do you think US dollar 1000 is enough for accommadation n fooding for five days in korea? let me know ur view on that? Hi, I am planning to complete Nami Island and Petite France within a day and I will be going from Myeongdong. Would you suggest I take the ITX or the subway? How long would the journey for both mode of transport? 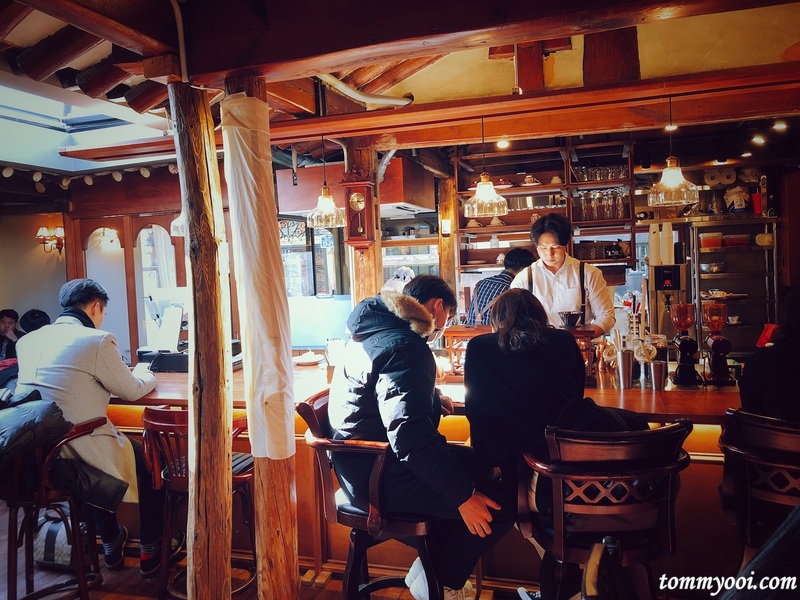 Would you suggest visiting Petite France first then Nami island? Hi Joey.. I got the same planning,will b visiting Seoul in 2 weeks time..can you please advice it share ur opinion? Going to busan/ seoul on Oct 2014, what are best locations to stay in busan and seoul which near to tourist attractions? Shld I choose myeongdong/namdaemun, Dongdaemun or i so done? Can i book the train ticket online? how much is it cost for the train ticket? train hours? we will be staying 8 days in total in korea. how many days should we spend on seoul? any side trip aside from seoul? anywhere near seoul? My wife and my daughter (4 yrs old) and I are travelling to Seoul from 27Oct to 3Nov 2014 (7D7N) on free and easy tour. Would be it a good idea to spend 3 days in Seoul and 1 day in Busan and another 2 days in Jeju? What is so special on Jeju island? Would it be too rush? Any good hotels you would recommend especially on Seoul and Busan. I believe Busan must be chilly by then? Yes it will be too rush for busan. Jeju will be rush as well if you dont have 2 full days or you can hire a taxi to save time. Any good hotels you wish to recommend? need help. i will arive 8pm local time in incheon. im just worried about travelling alone to seoul alone at night. Is the train still available? im afraid that i might be lost. first time to travel outside my country. One more, is the train going to seoul is easy to find? I will going to seoul on 6 jan 2015, how is the weather during jan? is it very cool? Any good hotels you would recommend especially on Seoul is nearby subway and myeongdong? we are 7 people, and like to go nami island and mt seorak stay one night at mt seorak? any transport from seoul to nami island and mt seorak? We are travelling to Seoul for the 1st time for 10 days and wanna try out the homestay or Hansok, and then stay in hotel for 2-3 days. Any recommendations? Is it too far/inconvenient to travel to Busan and Jeju? If we take up the local tours, it might be too expensive for us. Appreciate your advise! Going to seoul for 6d6n, planning for a 2d1n trip out of seoul, will jeju or busan a better choice? Hi Rachel, both will need at least 3 days, so not a good choice as you waste too much travel time. Perhaps you can visit places near Seoul such as Suwon? Thank you very much Tommy…. is very helpful. I am from the Philippines, my family would like to go to Korea on 16-21 June 2015. We would like to see Busan also. Can you recommend a travel agency for me? Also can you recommend a hotel too to stay? Thanks so much for your help. I am intersting your blog, especially this article. If you agree, I want to copy and paste(only part of article) your article to my blog. Of course, I must be disclose the source of the article. I will waiting for good news from you. Thank you very much and feel free to contact me at anytime. Dear tommy, my family of four will be going to seoul on may 30 – 1/6/2015. We are a family whom love to eat cheap and good korean food and also shopping. Any suggestion where to stay and eat ? I and my husband going to Seoul (4D3N) + Jeju (3D2N) + Busan (2D1N) i.e from 2 Nov and planning to go for budget hotel. Is it clean and nice? The # of days allocated for 3 provinces are suffice? In jeju, what is the best transportation? To rent a car comparative to the price? Booking one hotel in each provinces will be good or several hotel near to the visited place for more effective time management? Great information Tommy. Me and my friends are going to Jeju Island in November and wondering where can we rent a driver for a day to drive us around? Do you know if it will be possible to hire a taxi for a day too? Hi Tommy. Found your blog very informative. I am from the Philippines and I really love South Korea – the food, culture, people, everything! My Sister and I will be visiting Seoul AGAIN this October 2015 but this time we will be flying to Jeju on the 3rd day of our itinerary. I would like to know the weather condition of Seoul and Jeju by that time like how may degree celcius would be the temperature so I would know what outfit to bring. Also, can you suggest a nice cafe or restaurant in Seoul? A Hanok inspired dining place would be great! I would like to ask you about the accommodation in Seoul. Do you have recommendation cheap and comfortable Guest House or Hostel? hello tommy, I will be in Gyeonggi-do with my wife middle of november this year for a business meeting. After this, we intend to spend 2 full days to go around Seoul. With this very limited time, which places would you recommend for us to visit (myeongdong should be one of these)?. Thanks! hi martin, if you won’t mind me replying to your message. I was in Seoul last October 1 and spent two days in there. After that, we flew directly to Jeju Island and stayed there for two nights. In our first day, we went to Petite France and Garden of the Morning Calm (we visited Nami Island already in our Seoul Travel in 2013) on the same day, and these places are all in Gyeonggi-do which is very convenient for you since your business meeting will also be in that place. You can include Nami Island in your itinerary. Well, you must! 🙂 For your convenience, you may avail the Gapyeong Bus Tour. However, if you intend to spend the two days in Seoul, you may consider this: 1. Changdeokgung Palace, Gyeongbukgong Palace, and N Seoul Tower at night. If you will ride the cable car going to the N Seoul Tower, you can drop by Myeongdong Market. 2. 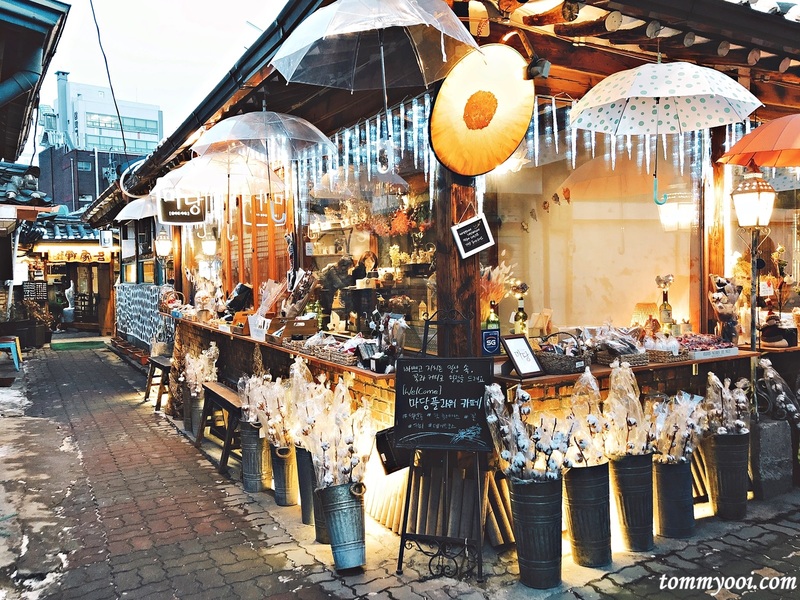 You can spend the 2nd day for shopping: Namdaemun Market, Dongdaemun, Itaewon and Insadong. Enjoy!!! Such a help! Salamat Kaye!! ?? Thank you so much kaye. Your comments are so helpful! After reading all your replied, it is very useful to get more info from you on my trips. I’m planning for a trip to Seoul with my hubby this coming end of Dec 2015. WE are planning to celebrate a new year in Seoul. We dont pan to go too far from Seoul. We will spend around 8 days there. I love to go shopping as well as scenery places. What do you recommend? hi tommy , what about must eat food in seoul? I am planning to go to Korea in Mid Jan 2016 for 5 days. Understand the winter is very brute, and not sure if there is anything to do apart from skiing. Me and my friend will be travelling to Korea betwen the month of March and April this year. Would there still be any place where we can experience snow/skiing perhaps? If you could also provide best places to visit during our 5 days stay I would greatly appreciate it. I have read your blog and i like it. i will going with my little daughter. I was wondering if you have any tips what for activities i could do with my daughter or family friendly places i can visit ? My mom and I are planning to visit Seoul, Korea this coming June as it is her birth month. I just want to know the best adult theme park that we can visit especially when it comes to rides and attractions. What is the best and enjoyable for 5yrs old and 12 yrs old! Would it be everland or lotte world?? 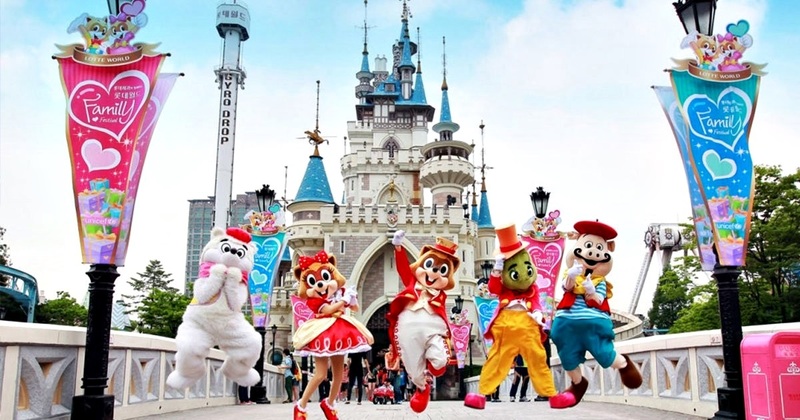 Is it Everland have more cartoon character? They have cartoon character parade? As per for our iterinary we had everland. What do you think sir it is good for my childrens? For your stimation sir what is the temperature for the time of march 24 2016? Do have any idea sir base on your experienced sir in seoul? Thank you very much God Bless you more! Hi again, Tommy! I just want to know the season in Seoul this June? So we could prepare the stuff we’ll be bringing. A big thanks! My family is set for getaway to seoul this march 24 to 29 2016. Im wondering what wer going to prepare for our clothes im from philippines. Travel with 2kids and one old lady. I am going to spend my holiday spree in Korea this summer (Apr or May) and I am planning to visit Seoul, Busan & jeju island. Can I make it in a week time, any recommendations of the “must see places”… and the safe places and budget hotel to stay. Thanks Tommy. Hi Ricky, 1 week 3 amazing places is too crammed & you will miss lots of fun stuff. Hi, do you know any island that can be visit on winter time? I am Thin Yu from Burma. I am visiting Seoul on May 5 but have only 7 hrs to spend there. Do you think that 7 hrs will be enough to visit Seoul National university and the two palaces as I truly love to visit those ancient places? Thanks so much in advance. I came across this blog and it’s been helpful. I’ll be staying in Itaewon, Seoul from 3rd-11th September and was wondering if there’s any other places we can visit. I’m leaning towards mountains or saunas or something you don’t see in google when you searched for “Where to go in Seoul attractions?” Haha. If you can help me out will be nice. Also, I’m thinking of heading down to Busan for a quick look-around. Is there any nice places there? I’m hoping to see those famous colorful houses we usually see in Busan on tv. I’m looking forward to see your updates on Halal Food. I know it won’t be easy to find proper Halal food, it’s be great if you can tell us the ingredients in some of the snacks and famous food. It’s be best helpful to us. Hi Nurul do spend at least 2 nights or better 3 nights in Busan..
HI, Tommy, first time planning free n easy trip to Korea. I would like visit Jeju-Busan-Seoul, can you please provide some suggestion. and each place have to spend how many days? Thank you, tommy, is that easy to find a tour guide and taxi in Jeju and Busan?Need to book in advance or find when we there. And, i plan to stay 3 nights in Jeju. May i know Seogwipo-Si and Jeju-Si these two places, which one stay for 2 nights? I really need your help. I feel like I’m running out of time in preparing for our Korea trip this Friday. Please recommend a legit website that offers packaged tours like Nami Island + Petite France. I’m quite not familiar with the websites from Korea. I would be really really grateful for your help. Hi Bey, you are most welcome. Have fun! Wow!!! This is a great help! Thank you so much Kaye!! ☺️☺️☺️ Will take note of this! Hi tommy. I want to know how many days will i need to spend so that I can go on all these 15 must visit attractions in seoul and which season is the best time to go to seoul. Thanks. Getting more and more excited for our upcoming trip to Seoul this September! Thank you for the info Tommy! Hi Kayne, you are most welcome. Enjoy your trip! Hi there, since my long vacation falls on January & I would really love to visit Korea, do you think its worth it even its winter season there to visit? Thank you for creating this blog, I really love it. It is really useful for foreigners who love to travel in Korea like me. And I’m looking forward to see some interesting museums or parks in Korea from you. Thanks in advance. The information given will definitely be helpful during our visit this month. Please recommend which is the best area to stay? How is Arirang Hotel ? Hi where did you buy your admission tickets and pay all your admission fees for those attractions? Travelling from seoul to busan, would like to check any other cities would be a good to visit(such as daejeon/daegu)? And what will be the famous place to visit between daejeon/daegu? I would like to visit to cheong wa Dae at korea.i tried to reserve to get permission from official website.There is error this site and i can’t get it.Could you please advice me how to visit this blue house?I m getting rush now .I will arrive to korea on 19th january. Thank you for the places mentioned. Was excellent guidance. You have to add Lotte World Tower, recently opened this year. Very exciting experience, lounge at 123 is expensive but worth the money. simple yet informative. Now thats what! Thanks alot. Hi Tommy. Is Gangnam one of the most attractive place in Seoul too? What other places to visiy at the end of April? Hopefully I’ll visit Seoul at the last week of April. I hope it will be spring, but last year (2016), first incheon snow fell on second week of January. Thank you. I just wanted to ask if you know any areas with halal food. thanks for jotting down all the info amazingly. Hi, do you have any recommendation on the SIM card package in Seoul? This was very helpful! Thanks for putting in the effort!